Can anyone learn to Heal? In this weeks blog I wish to discuss the questions can anyone learn to heal? Are some people more predisposed to be effective as healers than others and if so what can us lesser mortals do to improve our practice? Over the years I’ve met some incredible healers and when it came to transmitting energy they seemed able to manifest huge amounts of Ki. Also their ability to perceive what was required and transmute energy went beyond the average Reiki practitioner. So in today’s blog I wish to discuss why that might be and how some people seem able to hold a healing space and channel energy more abundantly than others. Going back to my early days of Reiki training I remember my Reiki master teaching me to just relax and let it flow. It became my mantra whenever I found myself getting in the way of the flow of Ki through me. There’s been times in my life where I’ve been more able to do that than others. Sometimes I have tried too hard to instigate healing phenomena especially when my compassion for a persons situation got the better of me and I invested myself in the outcome of the treatment. The result was always that I was left feeling depleted. So can anyone learn to heal? Certainly we teach Reiki with that notion in mind and a big part of the philosophy comes from the idea that we can’t push a river to make it go faster. In other words it’s not really about us doing it, more a result of us surrendering and allowing it to be done. I was recently having a discussion with Chi Kung Teacher Clara Apollo about the benefits of the practice of Chi Kung for Reiki practitioners. We spoke of the fact Dr Usui practiced Kiko (A Japanese form of Chi Kung) as a boy. He noticed during his studies that many practitioners who offered healing through this practice often became depleted due to giving their life energy to another person. This issue of depletion is experienced by Reiki practitioners too and it got me thinking why are people getting depleted? Also what is the difference between generating surplus amounts of energy which you can then offer another and allowing the flow of energy through you from a universal supply? What is the difference between practices such as Chi Kung and Reiki? And in what way can a practice like Chi Kung enhance our practice of giving Reiki and make us more effective as Reiki healers? One of the principal benefits of having a practice like chi kung is learning to ground yourself properly and plug yourself into the Earth energy. If we think of the benefits of this to our Reiki practice it gives us a place where energy can be transmuted. When we are connected correctly to the earth we release quite naturally the energy that is no longer required downwards through our energy systems and it is composted by the earth. The Earth knows what to do with it and will recycle it in some way just as it does horse manure. Of course as we release energy that is no longer required into the earth it allows fresh new waves of vital energy to fill us up thereby ensuring a constant circuit of energy flow, flushing out the old and bringing in the new.. The benefits don’t stop there however, it also ensures we have a stable foundation on which to work and align our own spine and chakra system. When we adopt the standing posture of Chi Kung for example it offers us a space in which to explore our own inner world. In a constantly expanding and changing universe the only place that is still is within us and is always there for us to visit if we choose to put ourselves there. When we stand in the posture of Chi Kung we get to unwind body patterns that get in the way of that stillness and we can become curious about the energy within ourselves. We observe places of stagnation, places where we’re holding on and by allowing a flow of energy to come through and release those stagnant areas there is more flow, more vitality, more connection. 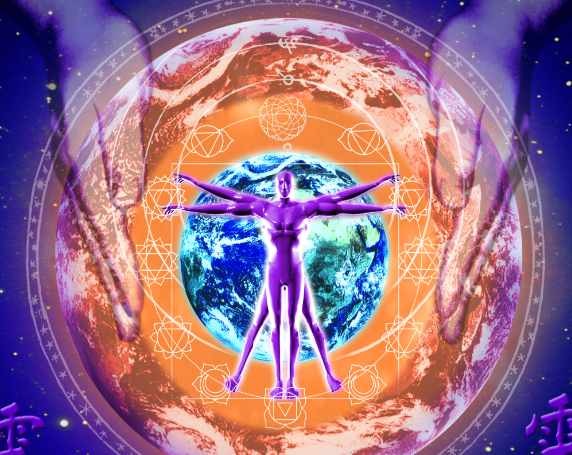 The goal then is to place ourselves in the optimum position so we are part of a greater energy system and that allows a maximum flow of energy through us. 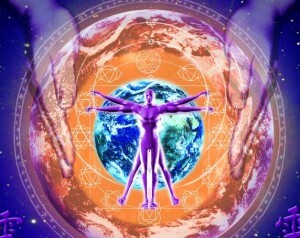 So it’s my belief that those practitioners that I have encountered over the years who appear to have a greater capacity to transmute energy and allow energy to flow more abundantly, do so because they are connecting themselves into the earth and aligning themselves more effectively. Regardless of whether they do this quite naturally or because they know the importance of grounding and posture it proves a stable foundation aligns the spine and chakra system and puts it in the optimum place to access subtle information and energy. If you would like to know more about integrating the practices of Chi Kung and Reiki, watch out for some courses next year run by Clara Apollo and myself.. This entry was posted in Musings, Uncategorized and tagged can anyone learn to heal, Chakras, Dr Usui, Energy protection, Five Reiki Principles, Grounding, How to protect yourself, just for today don't anger, manifesting what you want, Mother earth, Personal development, psychic protection, Reiki, reiki and Chi Kung, Reiki and Qi Gong, Reiki attunements, Reiki masters, Reiki school, Reiki Training, Shamanism, The Reiki Principles, Usui Reiki by Rich. Bookmark the permalink. ciao from Milan dear Richard! I’ve often thought this. That those that practice Qi Gong as well as Reiki are often more grounded but at the same time able to keep their channels clear and open. Great Blog!